Lincoln Federal takes pride in the magnitude and generosity of its employees. The Bank is committed to giving back to the communities we serve. Through our Lending Hands program, employees donate their time, talents, and funding to charitable organizations across the state of Nebraska. During 2016, the Bank donated 791 hours, 318 of which were on employees own personal time and thousands of dollars to support the work of these organizations that rely on donations for continued success. Matt Talbot provides free meals to Lincoln’s working poor and homeless twice a day, every day of the year serving over 100,000 meals annually. Employees of Lincoln Federal Savings Bank volunteer the third Monday of each month to serve lunch to Lincoln’s working poor and homeless. 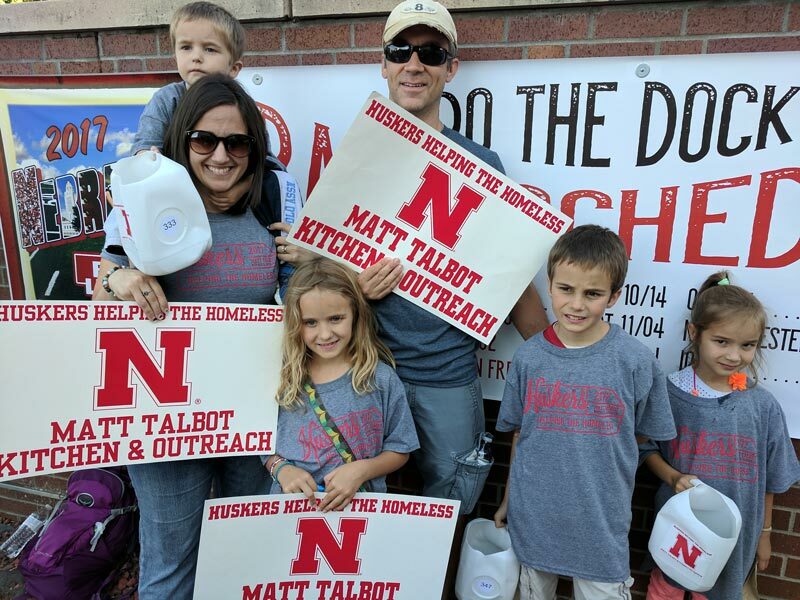 In addition to serving food, Lincoln Federal Savings Bank teams up with the Matt Talbot Kitchen to collect donations for the organization through their annual Huskers Helping the Homeless event. These resources are used to further support the mission of the organization by providing outreach and additional support to individuals in need. 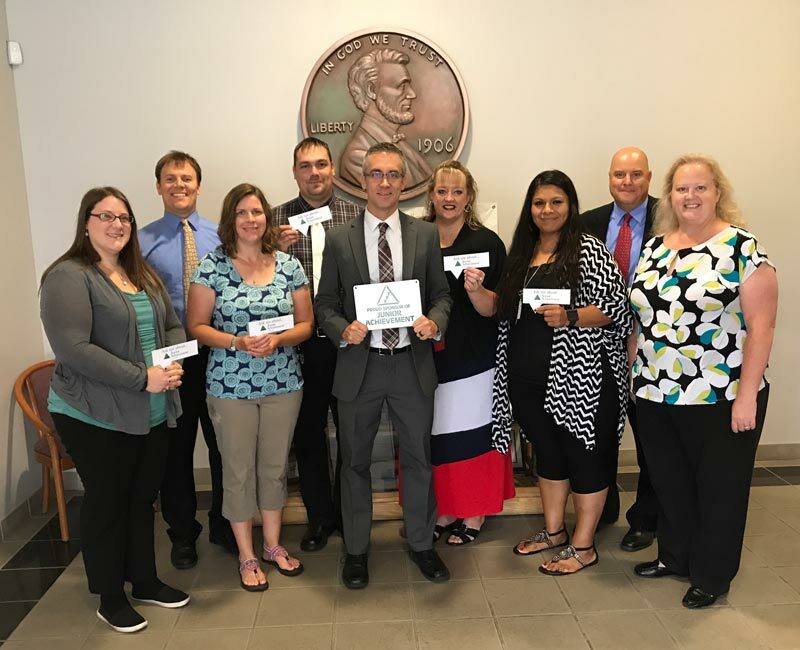 Lincoln Federal Savings Bank celebrated its 100th anniversary in 2006 and formed a Centennial Committee with a goal of giving back to the Lincoln community through volunteering and charitable donations. 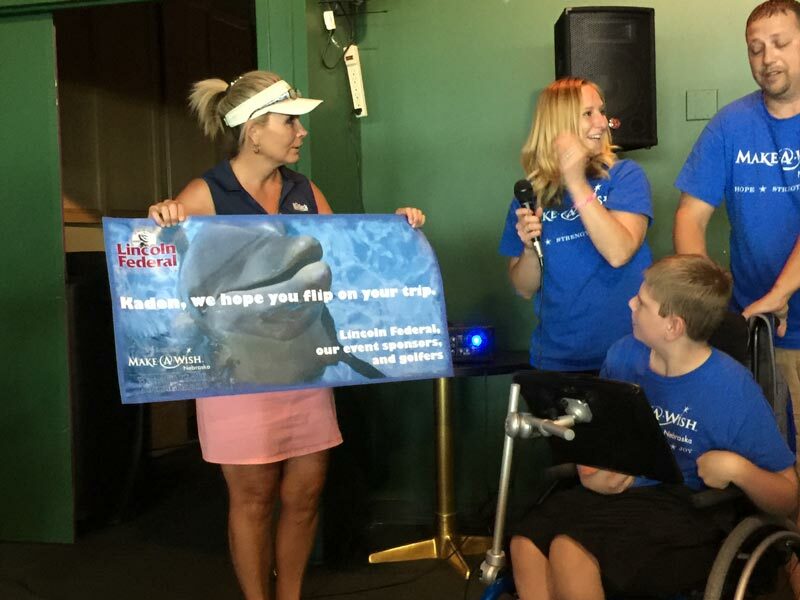 We wanted to organize a benefit golf tournament and The Make-A-Wish® Foundation of Nebraska was a great fit. What started off as a benefit tournament for our Centennial year celebration has evolved into a very successful annual partnership that makes dreams come true for children diagnosed with life-threatening medical conditions. Junior Achievement is the world’s largest organization dedicated to educating young people about business, economics, and free enterprise. JA provides current, state-of-the-art educational materials, computer software, and trained volunteers at no cost to the schools or students. Lincoln Federal has been involved with this organization since 2009 with volunteers in 98 classrooms in Lincoln’s Public and Parochial Schools. Lincoln Federal is able to further support their programs through fundraising efforts by participating in their Annual Bowl-A-Thon. Our classroom volunteers continually comment on how they enjoy being able to use their experience in the industry to educate local youth about the importance of understanding finance and economics. Lincoln Federal’s Holdrege branch employees volunteer monthly at the Phelps County Food Pantry. 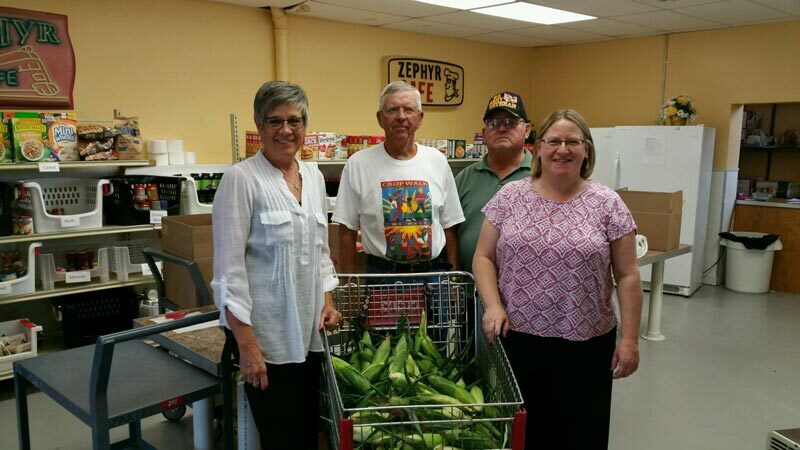 The pantry, established in 1982, assists Phelps County residents temporarily with food and necessities. Donations received help the local non-profit organization, as well as local fundraisers, food drives, overabundance of garden produce, hunter’s bounty, and many other helping hands. The volunteer’s jobs are to make sure paperwork is filled out, identification is checked, and boxes are filled according to family members’ ages and special dietary needs. It’s very rewarding knowing we can help someone that is truly in need and appreciative of the support. 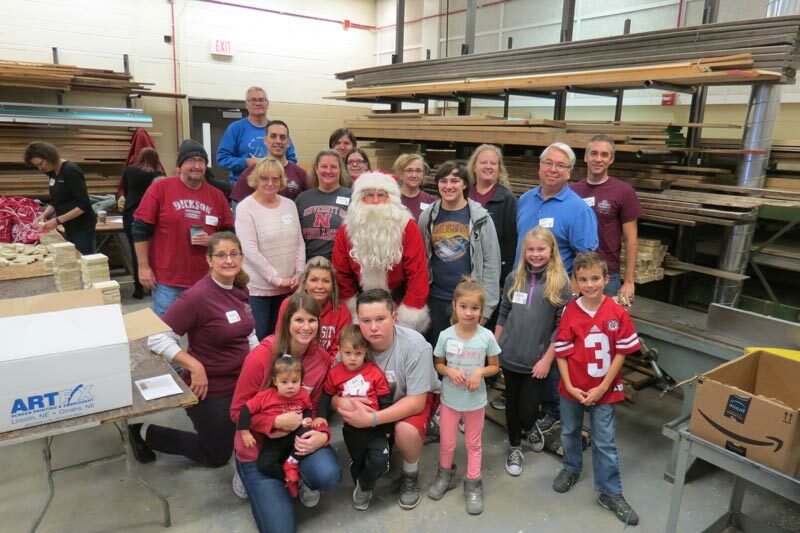 Each year bank employees assist the Homebuilders Association in making wooden toys that are donated to the Lincoln Police Department’s “Santa Cop” program. The program was established by the Lincoln Police Department, who distributes toys to Lincoln’s underprivileged children during the Christmas Holiday. In an inquiry to Lincoln Public Schools in 2005, we discovered how desperately in-need students and their families are to receive help putting food on their dinner tables. The employees at Lincoln Federal Savings Bank decided to donate their time and resources to raise money to provide these families with baskets of food. Our baskets consist of a variety of fruits, vegetables, meats, bread, cereals and more for a variety of sustenance for the winter break as well as a special holiday meal. The Bank and its employees promote this charity event throughout the year with many different fundraising opportunities. The amount of baskets continues to increase and this year, we are planning to deliver food to 125 local families from Lincoln Public Elementary Schools. Lincoln Federal Savings Bank holds a blood drive for the Nebraska Community Blood Bank at the home office parking lot every eight weeks. Blood is needed in our community every day and each Lincoln Federal donor is able to help by donating a pint of blood at every drive. Blood drives are very important because they make up one third of the units collected. It’s scary to think that a single car accident victim may require as many as 100 pints of blood. The blood bank relies on drives such as ours to replenish their blood supply. The Nebraska Community Blood Bank is a vital part in maintaining blood supply for those in need and we are grateful for our donors for being the types that give!